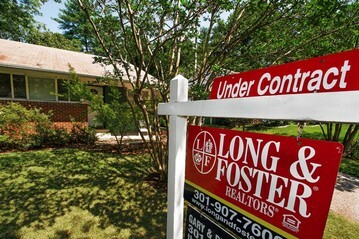 Home prices rose by 0.1% in September from the prior month and by 3.6% from one year ago, the largest such gain in six years, according to a report released Monday by Lender Processing Services. Compared with one year ago, prices are up by 17.7% in Phoenix, the largest gain among the nation’s 40 largest metro areas. Other cities with notable year-over-year increases include Detroit (11.7%), Las Vegas (11.5%), San Jose, Calif. (11.3%), San Francisco (10%), and Sacramento (8.3%). Among the top 40 metros, only a handful have posted year-over-year declines, led by St. Louis, which was down by 4.1%. Bridgeport, Conn., was down by 2.3%, while Chicago (-0.5%) and Cincinnati (-0.1%) also posted declines. Housing affordability is attractive based on traditional metrics such as price-to-rentand price-to-income measures, largely because prices have fallen so far. Housing is even more affordable considering today’s low mortgage rates. Many buyers judge their decision based on the monthly payment of a mortgage. The average payment on a median priced home last month, assuming a 10% down payment and not including taxes or insurance, fell to $720 at prevailing rates, down from nearly $1,270 at the end of 2005. Household formation is revving up. The U.S. is on track to add 1 million new households this year, up from 630,000 last year and an average of 570,000 over the past five years, according to economists at Bank of America BAC +0.48% Merrill Lynch. Based on normal population growth, that rate should be closer to 1.2 million households. The upshot is that some pent-up demand is being unleashed, in part because job growth has picked up. Rents are rising. Falling mortgage rates and improving job growth didn’t do much for housing last year, in part because buyers didn’t have much confidence or urgency. Rising rents have changed that. Initially, they spurred more investor purchases of properties that could be rented out. More recently, they’ve given buyers a reason to get off the fence. The share of distressed sales, such as foreclosures, are down, and in many Western markets, they are down sharply over the past year. Why are distressed sales falling? For one, mortgage delinquencies peaked 2½ years ago. Banks also slowed down foreclosures as a result of the robosigning scandal, and they’ve stepped up foreclosure alternatives, notably, by shifting short sales into a higher gear. The share of distressed sales is still high, historically speaking, but because they have fallen from their peak in many markets, prices have stabilized. Judicial foreclosure states such as Illinois, New York, and Florida that require banks to process foreclosures in courts still face large backlogs of potential foreclosures. But states such as California and Arizona that haven’t required banks to process foreclosures by going to court have seen large drops in the volume of outstanding bad debt. 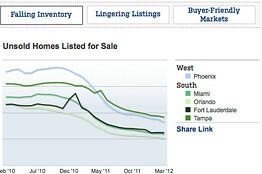 Inventories of homes for sale have plunged. Inventories of new homes for sale are at their lowest levels in nearly 50 years as builders sharply cut back construction over the past three years. Inventories of existing homes for sale are near a 10-year low, and down by one third over the past two years. Many homeowners have held back from selling because they owe more than their homes are worth, and even those with equity don’t want to accept big declines in prices. Low inventories have led to more multiple offer situations, as rising demand leads more buyers to chase after fewer properties. In some markets, foreclosure discounts have disappeared. This isn’t to say housing is out of the recovery ward. Credit standards are tight. Millions of homeowners are in some stage of foreclosure or default, and millions of others still owe more than their homes are worth. If the economy weakens again, the housing market could relapse. But if 2012 has taught anything, it’s that those headwinds haven’t been enough to prevent the housing market from healing.